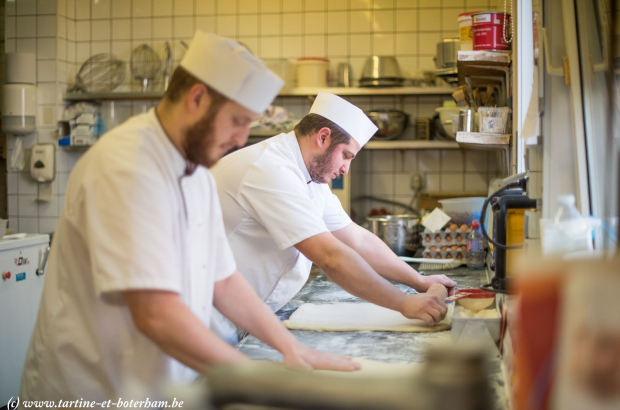 A new label scheme has been launched to help people identify the best artisan bakeries and pastry shops in Brussels. The Tartine et Boterham association has designed a window sticker that will be given out to what are considered the city's most authentic boulangeries and pâtisseries - accompanied by a searchable online database. The group says it is not easy for customers to distinguish between traditional bakeries and stores selling factory-made bread from far away in large batches. Spokesman Géry Brusselmans said: "We identify artisanal outlets with the help of municipalities and local residents." To be eligible, a shop does not need to bake its products on site, but 80% of produce must be made nearby. I have heard a lot about their own bakery produces but yet to taste even one of them. Every visitor i met from brussels do recommend to atleast have a go at it once i am there. I am planning to give a Essay champ seminar this year over there and this will be my moment to have a try of their bakery stuff as well.